Within a month, cinemas in Singapore welcome two ladies of considerable stature. Both are widely respected political figures. 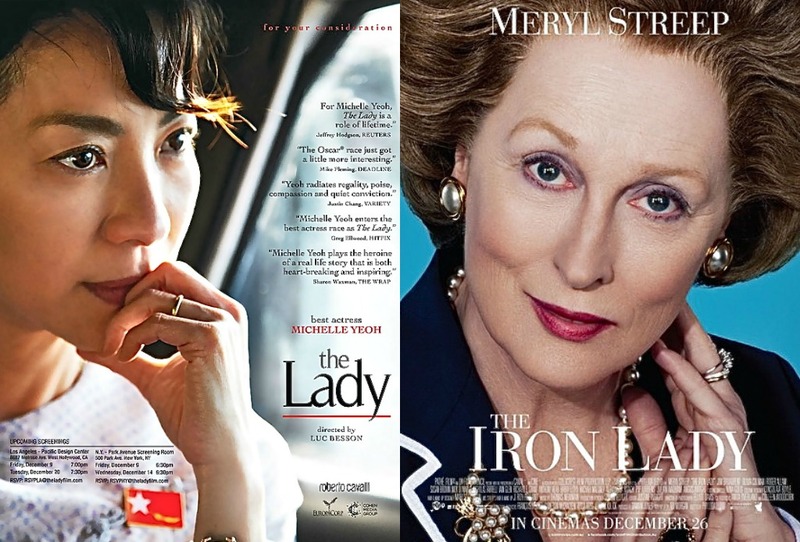 The movie on Aung San Suu Kyi and the movie on Margaret Thatcher not only have almost similar titles but their theatrical releases overlap in ways that, I think, is helpful at least here in Asia. 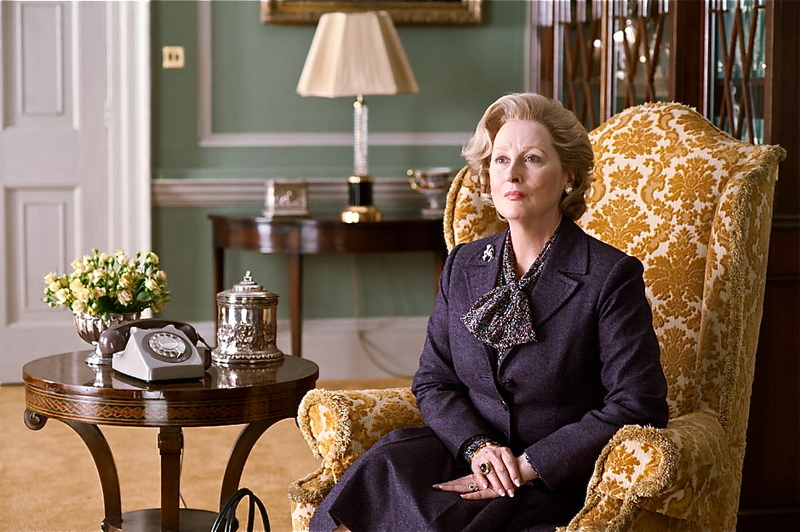 For ‘The Iron Lady’, with Meryl Streep winning so many awards, including the Oscar this week, it will no doubt continue to stay in the cinemas. To begin with, that Meryl plays Margaret Thatcher is reason enough for many cinema goers to want to watch the film. Michelle Yeoh playing Aung San Suu Kyi is quite another story. The physical resemblance is uncanny. But Michelle has been an action star. To now pull off playing such a high-profile dramatic role is for audiences to watch and decide if she did the role justice. Last night at the gala premiere here, the decision was unanimous. She more than pull it off. The movie rests on her shoulders, in this case, skinny shoulders as she had to lose weight to play the diminutive Daw Suu. She carries the movie from the biggest spirit of what Aung San Suu Kyi represents to the smallest details of her body language. Michelle looks stunning in person. The last time I saw her was in Hong Kong about five years ago. She looks much better now. I think when an actress is doing great work and getting affirmation from all levels, she will emanate a wondrous glow. Last night people left the screening emotionally shaken. There was an infectious feeling bordering on national pride. We are proud that an actress from the East has delivered such a moving, powerful, world-class performance. In Singapore, English language movies perform better. But once in a while, an English language movie comes along, one with an Asian slant or one which touches an emotional core with Singaporeans, and performs exceedingly well. I hope ‘The Lady’ will fall into this category with break-out success. 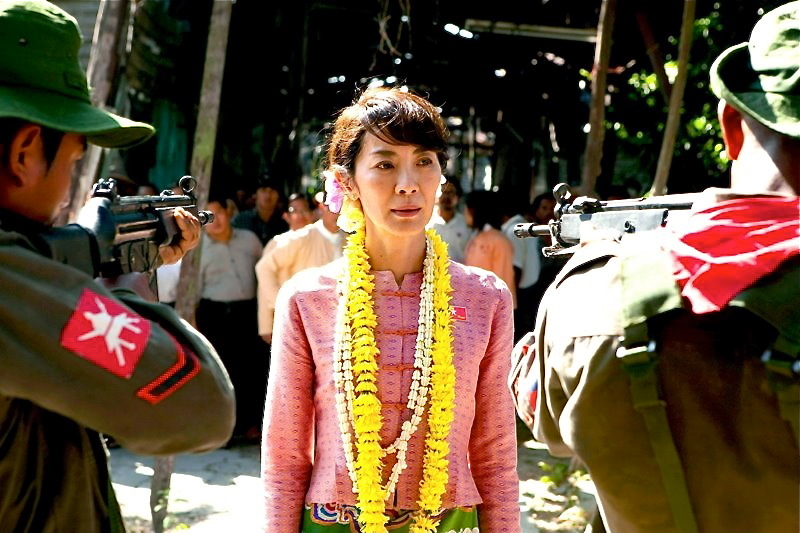 Playing Aung San Suu Kyi is fast becoming a career-defining role for Michelle. She feels blessed because this is a role of a lifetime. She said, “I’ve taken this year to concentrate fully on the promotion of ‘The Lady’. This movie has been so meaningful, until we have premiered in every part of the world and encouraged as many people as possible to shine the spotlight on the Burmese people and Daw Suu, I will not have a next project.” Although Meryl has many career-defining roles, this one in ‘The Iron Lady’ will still count as one of the most significant in her later years. When Meryl’s name was announced at the Academy Awards, there was a collective sigh of relief. At last, after 30 years, at her 17th nomination, they were giving it to her after all. She must be the actress most taken for granted, the actress with the most nominations and hence with the most disappointments. In her acceptance speech, she expressed her belief it would be the last time she was receiving an Oscar. Her performance in ‘The Iron Lady’ is now more talked about than her character in ‘The Devil Wears Prada’. She proofs beyond a doubt that someone like her can be the marquee name to single-handedly carry a movie to acclaim and success. 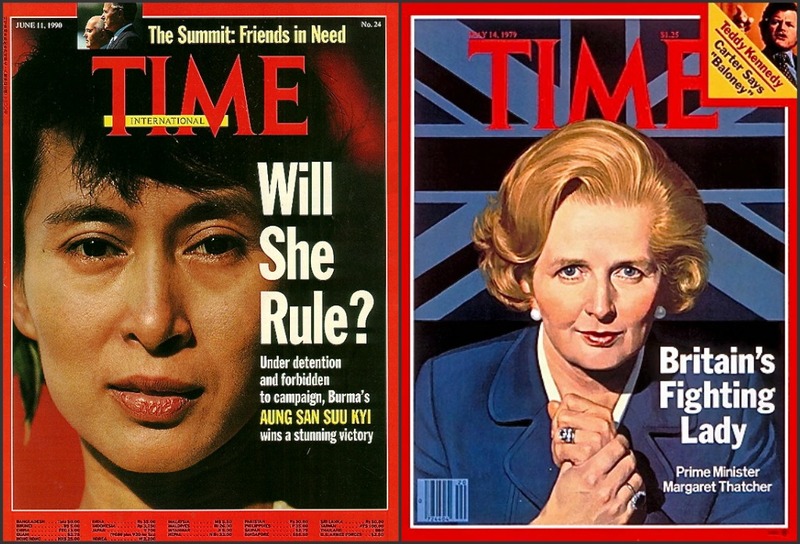 Both Aung Sang Suu Kyi and Margaret Thatcher are strong women. They are strong with very different strengths. Aung San Suu Kyi famously said, “The only real prison is fear, and the only real freedom is freedom from fear.” Margaret Thatcher has proclaimed, “Being powerful is like being a lady. If you have to tell people you are, you aren’t.” I think Eleanor Roosevelt summed up strong ladies best, “A woman is like a tea bag – you can’t tell how strong she is until you put her in hot water”. Both The Lady and The Iron Lady have been in very hot water. And they more than survived. They prevailed.